If you've granted Jiminny access to your camera or mic, but are still receiving an error that Jiminny cannot access, you may need to update your device settings. 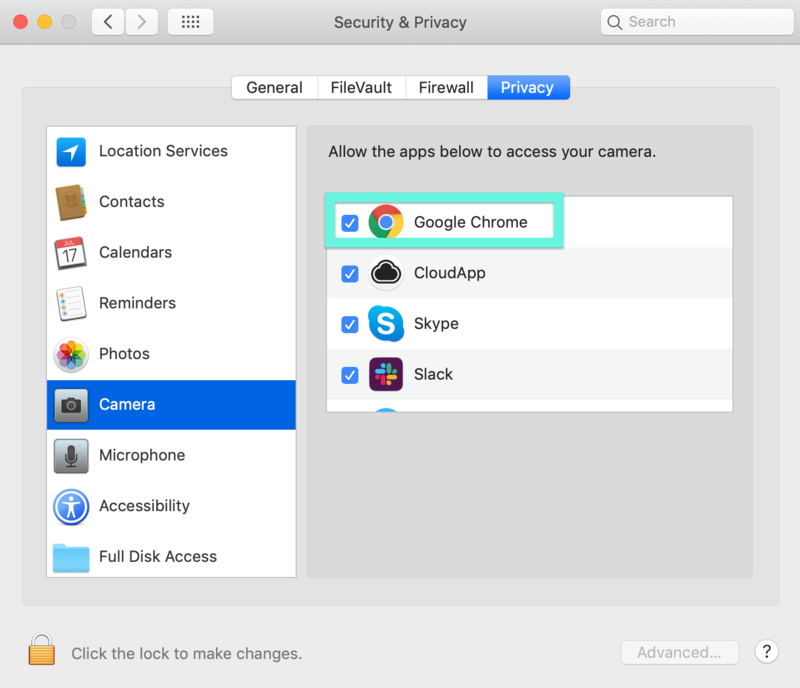 Ensure that Google Chrome is selected for access to both your Camera and Microphone. Your Jiminny conference runs through the browser, so your Chrome browser must also have access to these tools for your meeting. I don't see Camera or Microphone in my Privacy Settings? If you do not see the Camera or Microphone Permission options, you'll need to update to the latest Mac OS. You can download the latest version of Mac OS here.